A magical concert on the island of Mykonos is to take place in the heart of the summer.World famous artist Eros Ramazzotti meets Greek famous artist Antonis Remos, in a live concert in Nammos / Psarrou beach, Mykonos on July 27, 2017. Eros Ramazzotti is an Italian musician and singer-songwriter, very popular in Italy, Greece, most of Europe as well as throughout the Spanish-speaking world. He has released a total of 11 studio albums, one EP, three compilation albums, three live albums, and 37 singles, selling over 60 million records in his 30-year career. His repertoire includes duets with artists such as Cher, Tina Turner, Andrea Bocelli, Patsy Kensit, Anastacia, Joe Cocker, Lynn Davis, Ricardo Arjona, Luciano Pavarotti, Laura Pausini, Nicole Scherzinger and Ricky Martin. Antonis Remos is the most popular Greek international singer with a large fan base all over the world. He has released a total of 10 personal albums, 4 live albums, 4 compilation albums and 5 singles. His repertoire includes duets with famous Greek and International artists. He performs in Nammos almost every summer teaming up with different famous international artists on stage, such as Julio Iglesias, Gipsy Kings and Danny Brilliant. This year’s concert will be the hottest event on the island for the summer. Eros Ramazzotti will perform live, sure to dazzle the the audience with most of his international hit songs, captivating our senses with his unique, recognizable and resonant voice and his energetic on stage delivery. Antonis Remos will also be performing his hit songs, well known to the Greek and multi-ethnic audience of Nammos, with his powerful and distinctive voice and his powerful on stage delivery. The two artists will collaborate for a couple of live duets — a sure-to-be unforgettable moment that will be the peak of the evening. 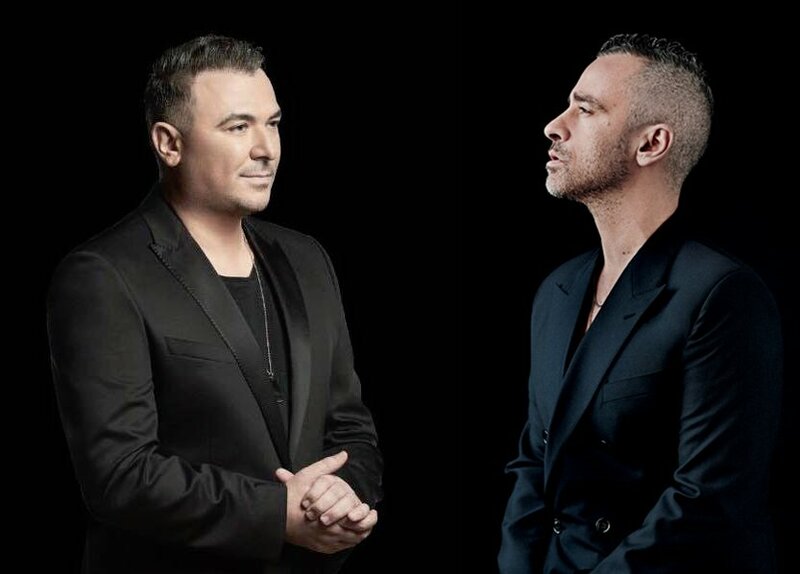 Eros Ramazzotti meets Antonis Remos at Nammos by the sea. A unique experience and an unforgettable night.